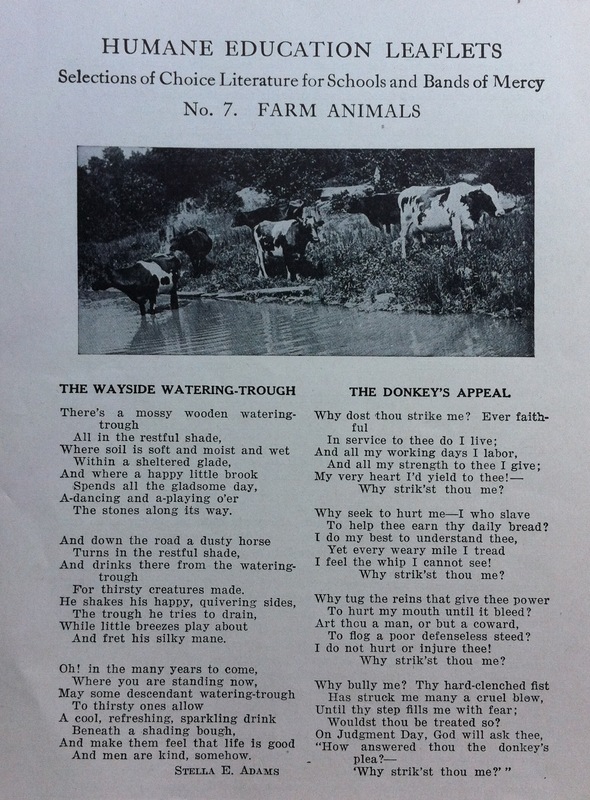 Groups like the American Humane Education Society (AHES) frequently published leaflets to be distributed through schools, Bands of Mercy meetings, and other public venues. In much the same way that activists use leaflets today, these publications were effective because of their portability. They could easily be mailed or distributed, and were produced for relatively little cost. These leaflets were frequently illustrated with photographs or reproductions of artwork. The power of the visual image to teach and open minds to new ways of thinking about animals was as significant for activists and educators during this era as it is today. In the early 20th century the American Humane Education Society (AHES) published a series of illustrated leaflets that gave an in-depth look at different animals. Each leaflet in the series focused on a different species of animal and combined factual information with art, poetry, and literature.